2017 is upon us, and while many things are changing, some things remain the same. 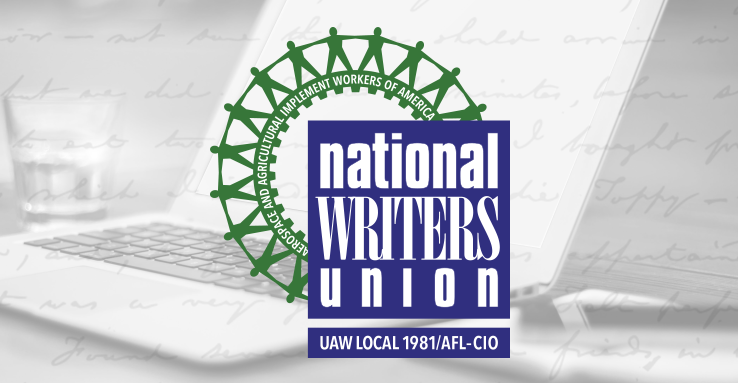 One is the need for National Writers Union members to complete Author Coalition of America surveys! The form you’re filling out may not seem like much. It may even seem like a self-interested task — but you are actually helping the union grow. Your participation has helped NWU accrue thousands in non-title specific royalty payments. This money goes toward organizing efforts such as launching webinars, reserving booths are major conferences, and planning large-scale recruitment campaigns. The amount NWU receives is directly tied to the number of completed surveys. The money is also linked to foreign agencies that are impacted by exchange rates, which makes each completed survey all the more important. We need as many surveys filled out as possible by February 15th, 2017. All published writers in every genre, including self-published authors (as long as you have sold at least 1,000 copies since publication, not only in one year). Didn’t publish in 2016? It doesn’t matter. Any published work no matter how old qualifies. The one exception is works that are exclusively online. If you filled out a survey before, you don’t need to do so again unless you have been published in a different format since your last survey response. Don’t remember what you checked off last time or even if you sent a response before? Just complete the survey again. The NWU has electronically archived all submissions, so it’s easy for us to cross check new survey responses. We need as many completed surveys as possible by 2017. You can fill one out using the online form. If you prefer a paper copy, you can download the form and mail it to Jeanise Chaplin, National Writers Union, 256 West 38th Street, New York, NY 10018 (we cannot accept scanned or faxed copies). This survey also appears at the bottom of the online membership form and on press packets, and it’s included in every new membership packet.